Around 150- 200 people turned up to join in and the march was led by drummers and the NBTA banner and the numbers included boaters from London, the Kennett and Avon and further afield and, after handing in the petition, the march continued to the Department for Environment, Food and Rural Affairs, the government department that helps to fund CRT. The petition, started by Frank Riverman and which has now reached over 33,000 signatures, calls on the Canal and River Trust to stop enforcing on distance and movement patterns. The term “bona fide” is Latin for “genuine” and comes from section 17 3c (ii) of the 1995 British Waterways Act that gives CRT the powers to grant licences to boats and provides the terms of their movement within that licence. 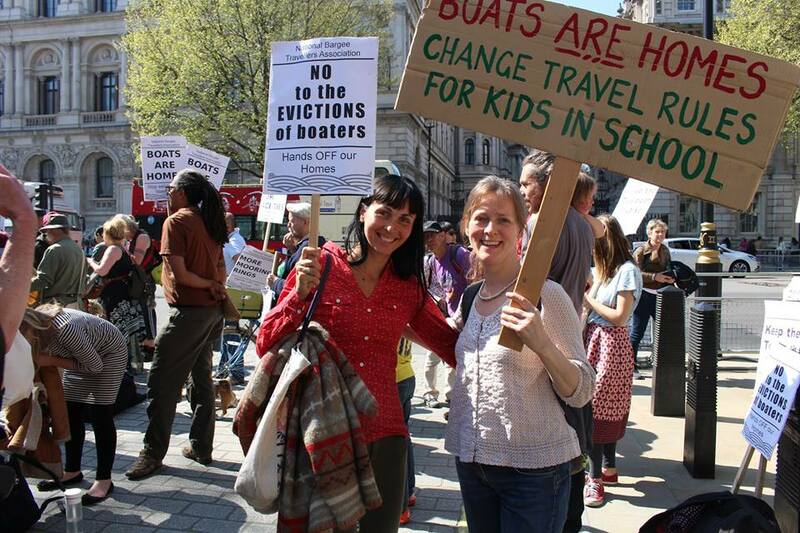 Boat families with no home mooring where amongst the marchers and at least one banner called for reduced movement patterns for boating families with school age children. Pamela Smith, chair of the NBTA said: “The law hasn't changed since 1995 but boat dwellers whose licences have been renewed without any issues going back 10 or 20 years have recently been told that their annual travel patterns are no longer compliant. 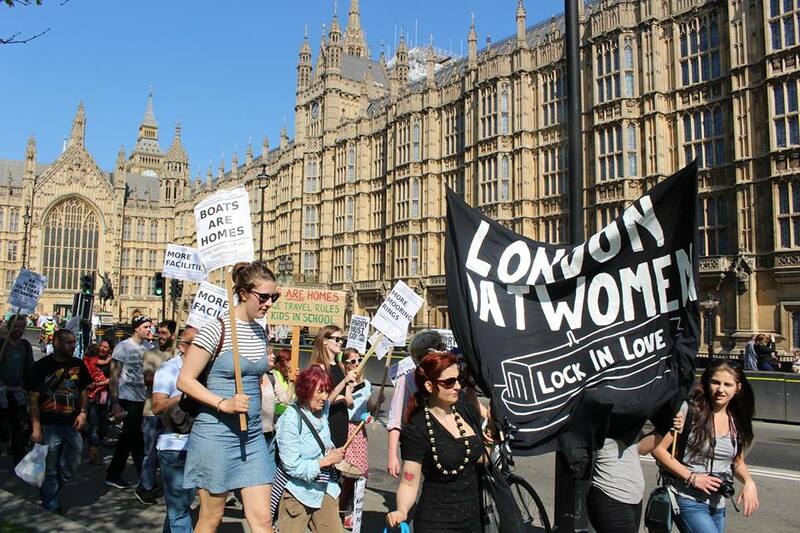 Marcus Trower, Chair of the London branch of the NBTA said that there was a “strong turnout from all over the waterways” and that the atmosphere was “lively and angry” but positive about making a change. “People spoke from different parts of the waterways and what unified them was not just a sense of community, but the general threat to rid the waterways of boat dwellers,” said Marcus Trower. 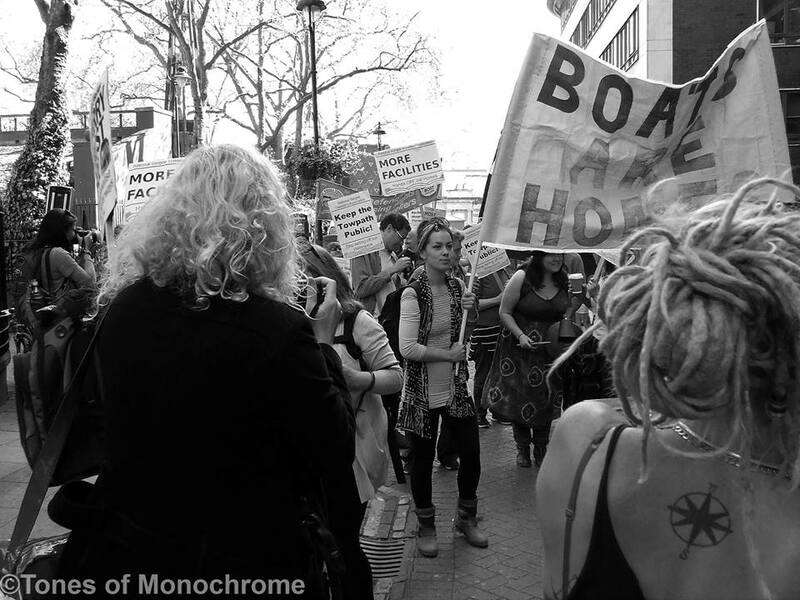 Marcus Trower added that the rally was mainly focussed on CRT’s “actions and threatened actions” to evict boat dwellers. LB News approached CRT for their reaction to the march and the petition. They provided us with this short statement and referred us to their recently published guidance for ‘continuous cruisers’. “The Canal & River Trust welcomes all boaters onto our canals and we seek to manage our busy waterways fairly for all the 32,500 boats on the network. We do as much as we reasonably can to help boaters stay on the water,” they stated. Marcus Trower said that the campaign continues and that one of the main focuses was the effects of the “intensification” of enforcement on boaters with school age children. “This is a key reason why so many boat dweller families came to the demonstration,” he said. Photo credits: Black and white: Heidi Siggers. Colour: Elizbieta Siwinska.